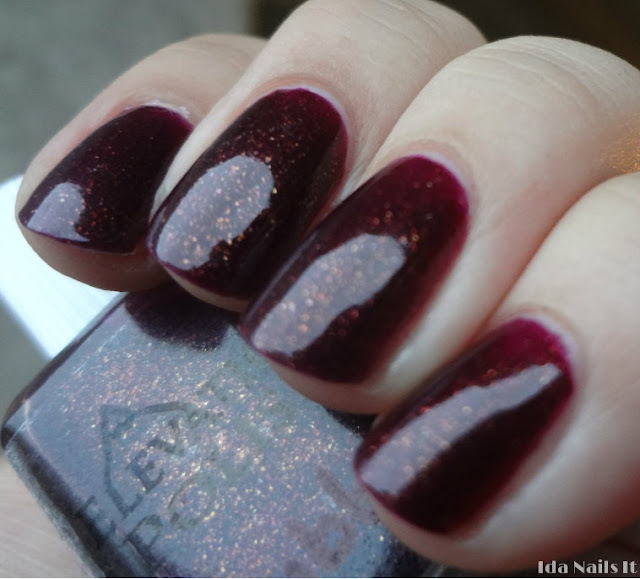 I have one last polish from Elevation Polish's upcoming Moroccan collection to show. 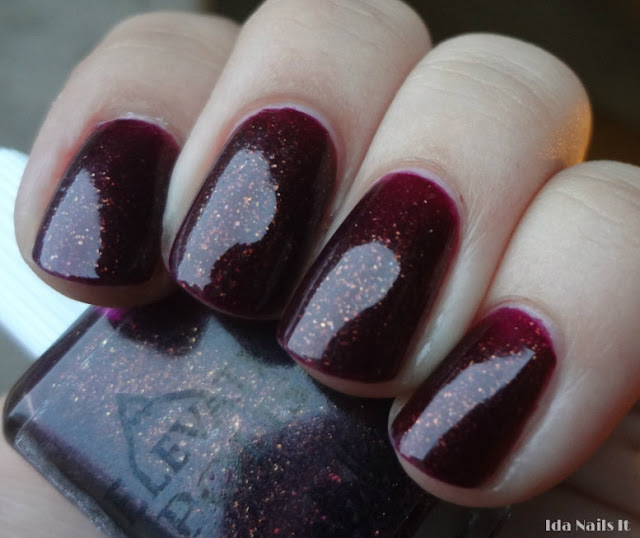 Toubkal is a rich burgundy jelly with gold flakies and microglitter. Another polish with really superior formula, though this one has a jelly finish, I was able to use just two coats for coverage and even in a low light, that shimmer is visible. Now that I've posted the entire Moroccan collection, I can say without a doubt, this is the best collection Elevation Polish has released. Not that there has not been great Elevation Polishes released in the past but as a whole, the Moroccan collection stands out. The colors are unique and come well together cohesively and the formula for these polishes is fantastic all around. Out of the four polish collection, I think Jbel Ayachi is probably my favorite. Toubkal, along with the other Elevation Polish Moroccan collection will be available in November. Details on the sale can be found on Lulu's blog: I Dig Brown Nail Polish.